On February 17, EVANESCENCE will release a very special career-spanning vinyl box set encompassing all of the band's studio albums — "Fallen", "The Open Door" and "Evanescence" (with the latter two making their vinyl debut) — and, for the first time ever, the commercial debut for the previously unreleased demo album "Origin". 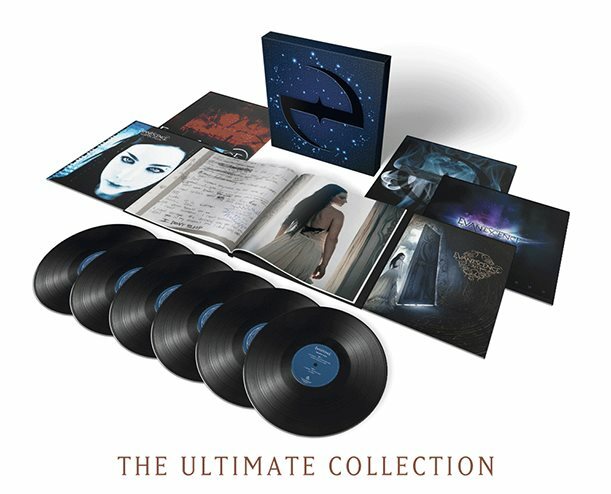 Also included in "The Ultimate Collection" six-LP set is "The Lost Whispers" album, which officially culls the band's legendary bonus tracks and features the studio version of the long sought-after tour intro "Lost Whispers" and the first new EVANESCENCE studio recording in years, "Even In Death (2016)", a song that originally appeared on "Origin". The box set includes a 52-page casebound book featuring art, handwritten lyrics, photos and rarities. You can now stream "Even In Death (2016)" below. 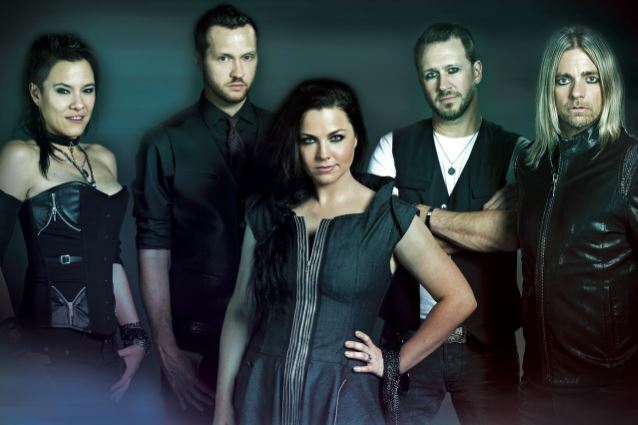 Publicists for EVANESCENCE singer Amy Lee have confirmed that the band is working on new music. 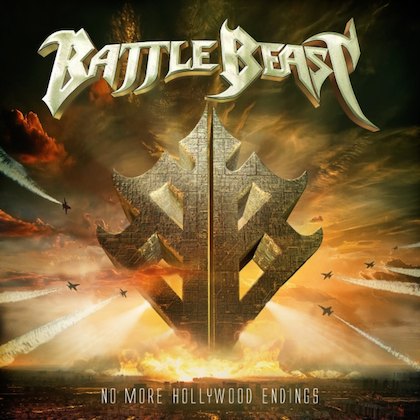 The band's first new recordings since 2011 are expected to arrive sometime later this year, but details on a release date, title, or even the format in which the material will be issued remain unknown. Lee hinted in an interview with AOL last fall that new music from the group might not take the form of a traditional album release, saying: "We have some new little plan in store, but I don't wanna give it away yet." Lee hinted in interviews last year at some sort of non-traditional release, saying: "There is some new EVANESCENCE stuff that we're starting at, but it's not exactly the most traditional thing . . . there's something else that's a little bit special and different and (that is) gonna take you down a different path that we wanna try." EVANESCENCE debuted a previously unheard song called "Take Cover" during its North American tour last fall. 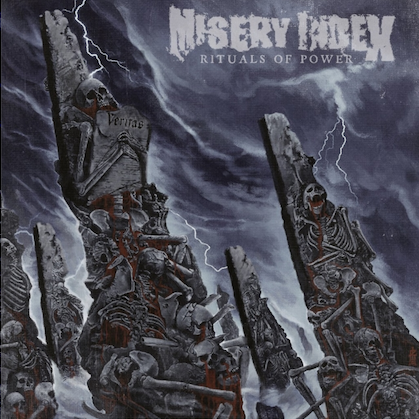 The singer has been evasive about when or if the band would record a new album, which would follow up its self-titled third effort that came out six years ago. Lee released a new solo single, called "Love Exists", on February 10 via iTunes, Amazon, Google Play and all the usual streaming services. Lee has another new solo song coming out this spring. The single "Speak To Me" will appear on the soundtrack for the forthcoming supernatural thriller "Voice From The Stone", due April 28.